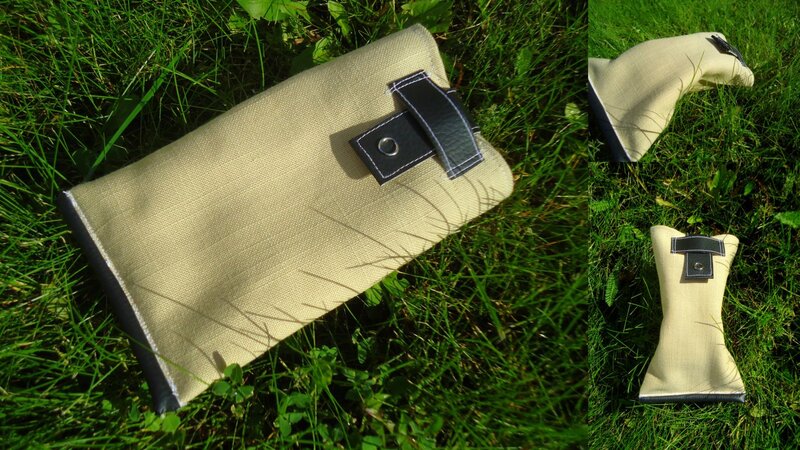 Today I’d like to show you a case for sunglasses I made back in summer. As I wasn’t making this for myself, I got one request: it shouldn’t be boxy (in other words, it had to be like a little bag). Having this request in mind, I let my creativity do its job. And, after less than an hour, the case was done. There are a lot of patterns online for sunglasses cases. However, I didn’t use one. I just measured length, height and width of the sunglasses and cut the fabric. Yes, it was that easy. I drew a scheme to show you what details I used this time (I wrote the exact measures I used on the side). Though I prefer sturdy cases, this was definitely a fun and a quick project to do. And it is cheap to do – I used scraps of fabrics I already had.